When my young family and I moved back to Collierville in 2000, the ministry tag for Collierville First Baptist Church (CFBC) read “Home for Family, Friends and Faith.” As I reflect on our years here, that statement perfectly describes what both church and community have become for Suzy and me, as well as our children, William, Daniel and Katie. My family has a long and blessed history with both Collierville and CFBC. It began when my father was called as Minister of Music and Youth in 1969. I was a precocious 1 year old and Collierville was more rural than suburban. Mom and Dad quickly made friendships that would last for the rest of their lives. Bill Spencer from the Baptist Church in Iuka, Mississippi, was selected in the fall of 1969 as a full-time staff member, filling the position of Music and Youth Director at $8,500 per year. The church bought a house on South Street for him to live in. We lived in that house with red brick and the long driveway (and the $8,500 salary) for almost 4 full years. Our 8mm home movies tell the story of a fruitful ministry in small town America. Families with kids who were a part of Dad’s student group have stayed in touch for the last 45 years. My father’s second tour of ministry at CFBC ended on April 23, 1986 when he suffered a fatal heart attack. It was both an unexpected and transformative moment in my life, altering our family’s course and sending each of us down paths that we could never have orchestrated on our own. But God was in control then, as He is in control today. He led me to Virginia, where I met and married Suzy and found a renewed call to ministry. He moved us to California and Texas, where we discovered a zeal for doing whatever it takes to reach unchurched people. And then, He led us back to Collierville. The opportunity to follow my father’s footsteps in ministry at CFBC was something only God could do. I am so thankful for Pastor Gary Watkins and the CFBC personnel team for seeing in me the rough leadership and character traits that would translate to effective ministry in metro Memphis. Our first Sunday at CFBC was June 13, 2000. What followed were 15 years of incredible, Spirit-filled ministry. The church doubled in size, the worship ministry multiplied to over 600 members and I grew to accept new responsibilities as a church leader. I will always be grateful for the personal, spiritual and leadership investment that Pastor Chuck Herring made in me. Family – William was 2 years old and Daniel was 10 months old when we bought our first home in 2000. Two years later, Katie was born and our family was complete. Collierville schools (and friends) are the only ones my kids have ever known. Friends – We have made friends and formed ministry partnerships that will last for the rest of our lives. Generous church members, pastors, and friends, along with some gifted ministry team members, have enriched our lives far beyond anything we could have hoped or imagined. Faith – My kids have grown in both faith and maturity at CFBC. William, Daniel and Katie were all baptized here, and a multitude of preschool, children’s and student leaders have invested in our family. We are forever indebted to them for instilling in our kids a passion for Jesus Christ! My family has a long and blessed history with both Collierville and CFBC. As we embark on a new adventure at First West, we thank God for our years at CFBC. Bernice Taylor Cargill, A History of the First Baptist Church, Collierville, Tennessee (Memphis: Castle Books, 1994), 52. Of all the dispositions and habits which lead to political prosperity, religion and morality are indispensable supports. In vain would that man claim the tribute of patriotism who should labor to subvert these great pillars of human happiness, these firmest prop of the duties of men and citizens. The mere politician, equally with the pious man, ought to respect and to cherish them. A volume could not trace all their connections with private and public felicity. Let it simply be asked: Where is the security for property, for reputation, for life, if the sense of religious obligation desert the oaths which are the instruments of investigation in courts of justice? And let us with caution indulge in the supposition that morality can be maintained without religion. Whatever may be conceded to the influence of refined education on minds of peculiar structure, reason and experience both forbid us to expect that national morality can prevail in exclusion of religious principle…Observe good faith and justice toward all nations. Cultivate peace and harmony with all. Religion and morality enjoin this conduct; and can it be that good policy does not equally enjoin it? 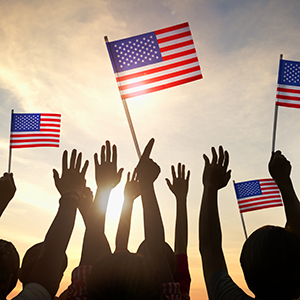 For much of our history, national morality, religious principle and patriotic devotion have seemed to work together. It’s why we’ve so often put the words “God and country” together. Perhaps like no other time in our nation’s history, the relationship between God and country is strained. The disconnect is about more than any single moral or policy issue, centering on a general reluctance to trust God for our lives, our futures and our good. Love Christ more than the world. I’m seeking to value what the Bible says over worldly definitions. Even when the the chorus says otherwise, stand firm in your faith and put Christ first. Love others more than myself. I’m learning to put the needs of others (especially the need they have for Christ) above my own selfish desires. This absolutely includes loving people I don’t agree with. Loving Christ means loving others. Love the Kingdom of God more than material things. Instead of seeking material comforts and embracing a culture of more, I want to value the truly important things. I want to share my faith and follow Jesus’ command to make disciples. Being a citizen of God’s kingdom means that we are in the world, but not of the world. Love Christ more than the world, love others more than yourself, and love the Kingdom of God more than material things. “The American Church Faces Its Kodak Moment” on Serve. Grow. Lead. “Live an Everyday Life on Mission” on Serve. Grow. Lead. George Washington’s Farewell Address, September 17, 1796. 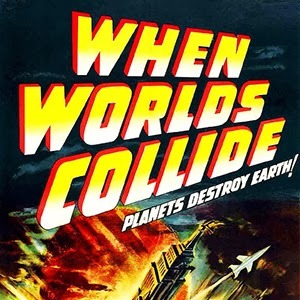 One of my favorite movies growing up was the 1951 science fiction classic “When Worlds Collide.” Scientists discover that a star named Bellus is on a collision course with Earth and that the end of the world is little more than eight months away. Wealthy humanitarians and a self-serving industrialist pony up and a spaceship is constructed as a kind of Noah’s ark to save humanity from extinction. Worldview watchers and thinkers have known for some time that a different kind of collision was coming in American culture. It’s actually been happening for decades. Certainly, the Robertson family saga unfolding before our eyes is no isolated occurrence. I’m not offering any excuses for his coarse language, nor can I defend his racial views that gloss over the inequities and cruelty of the Jim Crow south. But I can say that opposing worldviews account for most of the outrage over Phil Robertson’s comments. The Robertson family represents something otherworldly for establishment media types and secularists. It’s disagreeable for anyone to disagree with their PC opinions about what we should say, how we should act and what has value in 21st century, post-Christian American life. That says a lot about why A&E and the Robertsons are on such different worlds. And it says more than we want to know about the eroding tolerance elites have for people they classify as backward, uninformed, ignorant and intolerant. They look at people of faith with a sneer and self-righteous indignation. They know better and rednecks don’t know much. When worldviews collide, it’s now disagreeable to disagree. Reading through the headlines this weekend, my eyes were fixed on one in particular. The headline “Arab Spring Run Amok: ‘Brotherhood’ Starts Crucifixions” conjures all kinds of images for the 21st century believer. To be sure, the targets of crucifixion in Egypt are not, at least at the start, Christian believers. Radical Muslims crucified those opposing newly installed President Muhammad Morsi “naked on trees in front of the presidential palace.” It was a clear signal to political opponents: get in line or face the consequences. Political violence in the Arab world is not news to anyone. But this headline caught my attention because crucifixion has special meaning for Christians. 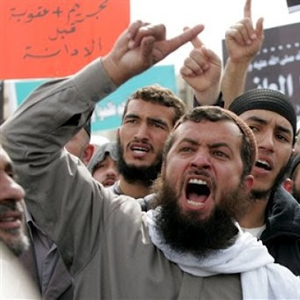 The rise of the Muslim Brotherhood in Egypt, with their advocacy of Shari’ah and radical Islam is a concern for us all. 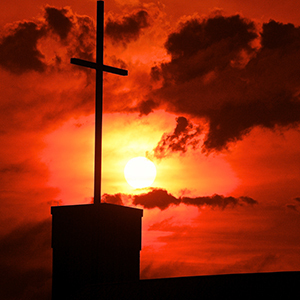 Center for Security Policy Senior Fellow Clare Lopez believes these crucifixions are a clear warning for Egypt’s Christians. She compares the coming treatment of these believers with imagery as charged as that brought up by the crucifixions themselves: the harsh treatment of Jews in Hitler’s Germany. The Copts must get out of Egypt as soon as possible – for the many millions who will not be able to get out, I expect things will continue to deteriorate – just as they did for Germany’s and Europe’s Jews from the 1930s onward. The punishment of those who wage war against Allah and His Messenger, and strive with might and main for mischief through the land is: execution, or crucifixion, or the cutting off of hands and feet from opposite sides. Clearly, the expectation is more of the same for the minority Christian Copts. Bat Ye’or’s The Dhimmi: Jews and Christians under Islam was required reading in a graduate school Middle East politics course. Her painful history paints a complicated picture of a dominant Muslim majority subjugating second-class minority citizens to lesser roles and varying degrees of persecution and ridicule. This remains the plight of most Christians and Jews in Islamic nations, and the degree of subjugation and official tolerance varies greatly from one nation to another. Is it about to get worse for Egyptian Christians? And how should we respond to hatred, persecution and the prospect of death for Christian brothers and sisters around the world? That’s what I intend to do. I will pray for my enemies, who need Christ as much as anyone else. And I will pray for those they persecute. I will pray for Christian brothers and sisters across the Arab world and I will pray for God’s protection upon their families. Most of all, I will pray that Clare Lopez’s worst fears do not come true. Read the full article: “Arab Spring Run Amok: ‘Brotherhood’ Starts Crucifixions” by Michael Carl on WND.com. I admit it. I have always been fascinated by the Olympics and the men and women who focus their youth on the singular goal of medaling in the Games. I keep up with the athletes and the storylines, and Olympic events are just about the only thing on our family’s television during those two weeks of summer and winter every two years. This year, I have joined the rest of the world to watch the London Games. I spent a day wandering London several years ago…riding the Tube, walking the street and watching people. I really had no agenda, except seeing a few obscure sites I had missed on previous visits to the city. I saw Team GB’s rich spiritual heritage on full display everywhere I went. It was nice to see, of course, but I couldn’t help but wonder where all the energy, youth and vitality had gone. 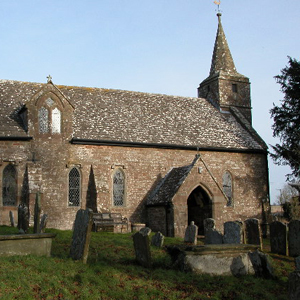 England, Scotland and Wales represent a significant part of our spiritual heritage. It’s where great communicators of the Word were used by God to revitalize and renew our churches. It’s where great revival movements began. And it’s where the impetus for modern missions first took flight with men and women who devoted their entire lives and families to far away peoples they barely knew. What strikes any believer who goes to Britain today is the sheer absence of Christian faith in the national consciousness. Churches all over Team GB are shells of what they once were. The decline began in the 19th century, when many attended church as a moral commitment instead of a spiritual one. Secularization and anti-Christian sentiment gradually increased, crowding out and marginalizing those with a discernable Biblical worldview. Sound familiar? Team USA has been arriving at a similar spiritual place for some time now. But our god is the God of hope and second chances, both now and in the past. In 1904 at Seth Joshua’s “God Meeting” in Blaenanerch, Wales, the spirit of God fell on a 26-year old man named Evan Roberts. God told him to begin to cry out, and that’s what he did: “Bend me! Bend me! Bend me! Bend us, oh Lord.” After that, eyewitnesses recall that the Holy Spirit came upon the people with power that figuratively shook the congregation to its core. The great Welsh Revival had begun. Deal with and get rid of anything ‘doubtful’ in your life. Be ready to obey the Holy Spirit instantly. For me, this is Britain’s real olympian legacy…a legacy from men like Evan Roberts, C.H. Spurgeon and William Carey. It’s a legacy of great movements of spiritual revival and renewal. There is an opening for genuine revival in our own land at the start of the 21st century, just as God moved among Welsh believers at the beginning of the last century. We have two roads before us: turn, listen and wait for the Holy Spirit’s voice of revival, or continue down the road of spiritual obligation, complacency and increasing irrelevance. It’s time to seize the day. Evan Roberts’ four points seem like a good place to start.